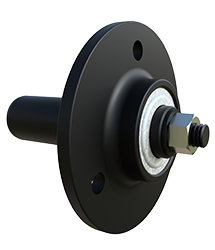 Black Ace® bearing holders easily upgrade the wooden block bearings on grain-pan augers — without replacing the block or removing the auger. The precision-machined steel shaft fits into the end of the auger, making it run true and turn more easily for long, trouble-free life. 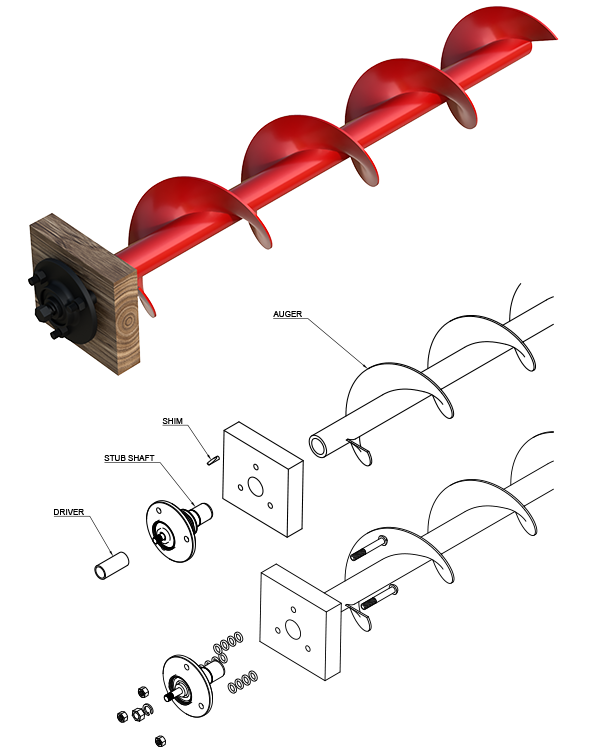 The Auger Bed Bearing Kit is used to upgrade the wooden block bearing on the grain-pan augers. Comes with sealed ball bearings made to withstand moisture and dirt. Made to install into worn-out auger tube. Easy installation with complete instructions and hardware.